Burnley manager Sean Dyche believes his side need to adapt to 'ugly stuff' in the Championship after their 2-0 loss to Ipswich Town on Tuesday. The Clarets are yet to win this season in the league having drawn to Birmingham City and Leeds United. 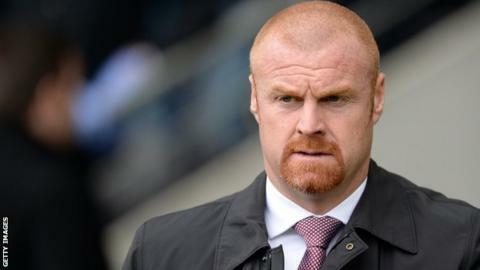 "The team's got to adapt to the different challenges that come your way," Dyche told BBC Radio Lancashire. "We have got to realise that we're going have to find different ways in the Championship." Dyche believes Ipswich's practicality is something the Clarets can learn from as they look to gain promotion back to the Premier League. "There is a reality to what the Championship offers. It's all the idiosyncrasies of the Championship - you don't get a left-back in the Premier League throwing the ball in from 45 yards away," he explained. "There are things you have to come across during the division and do all the basics and ugly stuff and I thought they did that better than us. "We got mixed between whether we were playing or whether we were fighting and we didn't quite find the balance."